New Projects for Flying Pig? 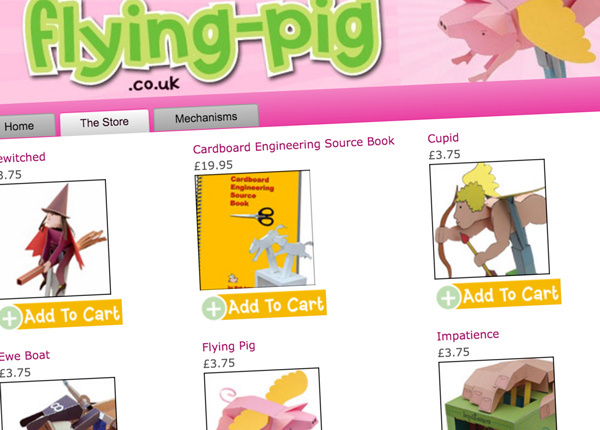 The Flying Pig web site is the home of my printed paper models. It has been quite a while since I added anything new so I have been looking through my robives.com catalogue to see what would make a nice paper animation kit. I've picked out these few as possibilities but what do you think? Are there any models from the store that you would like to see made into printed kits? Let me know in the comments below or by email. I'm planning to return to the bird project once I complete the book I'm working on, Deadline friday! 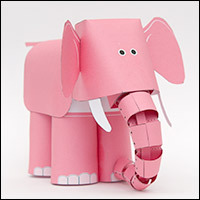 I'm very pleased with all your downloadable projects (of course a got a few of your printed kits. too). But I think the Caterpillar, the the Dodo might find some interested party. Also the Pneumatic Giraffe could be worth a look. And for the more technical enthusiast maybe the Paper Safe. I'm very curios about your new book (any hints at it?) and I'm glad to here you will continue the bird project. I already built the Bellows and Crank Bird Box and it whistles quite well. 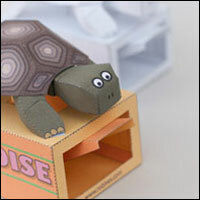 Thanks Max – I was thinking Caterpillar and Giraffe as well, I like the idea of the Paper Safe and the Dodo could work as well. Do you want us to choose? OMG, it is so hard to pick. Every single project is unique and has its own special thing – but I would say if you put a kit that is hard to cut – like whislting projects, it would be great. However, from market point of view or sale point of view, there are many cute projects that may go very well – Butterfly, Surly Jack and Dragonfly are my favorite because they delight you any time you tap them. Also, I noticed that Mr Cool keeps a very good record of what you did not finish! I vote for him too. I would like to encourage you to bring back the "Exercising Fool" character and attach it to the "Press Up" model. Then expand on the idea to include a third model in the series. Pehaps a "Pull Up" or a "Weight Lifter" model. I've always like that character and wanted to see more of him. I hope this helps. If nothing else, please bring him back to the download section.